The new HotStart Pro gives you the ability to program and save up to 5 custom programs. Each program can have up to 8 segments. The best part is that you don't have to give up a thing. 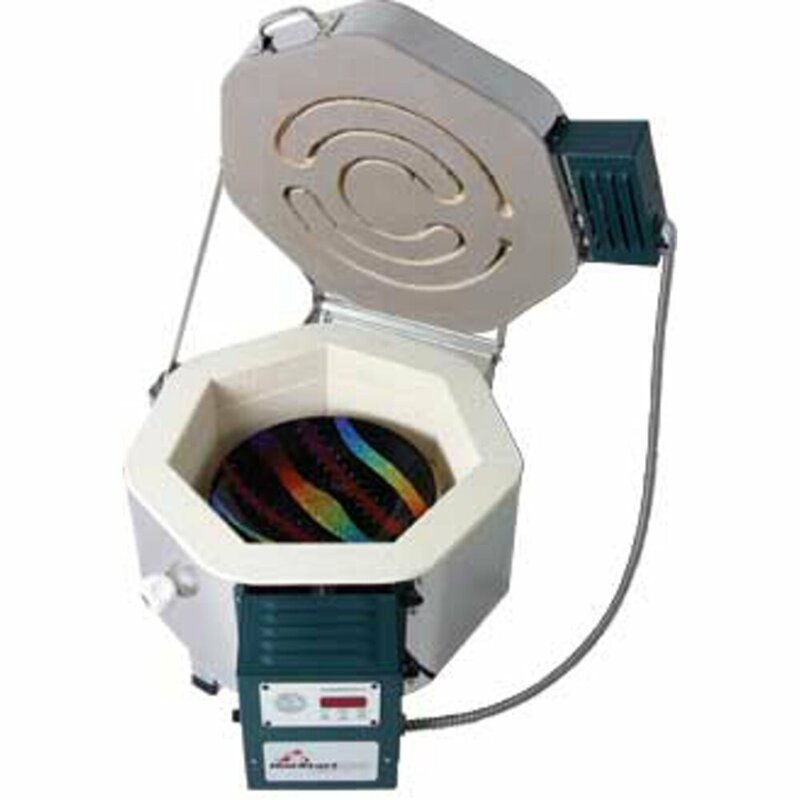 The HotStart Pro is still the only kiln on the market with the convenient and easy to use GlassFire Mode. Also the HotStart Pro is currently the only kiln of it's size to use high quality Solid State relays for added safety and durability. Just look at what you get! YES, we do ship kilns, you pay the freight that we pay. Freight will be quoted and charged seperately. More Memory Than Any Other 3 Button Controller on The Market. Now Has Customizeable Ramp and Hold Programming. And Yes It Still Has The Incredibly Popular GlassFire Mode Available Only With A Skutt Kiln. Skutt now offers a new Viewing Window for their glass kilns. This is available as an optional upgrade. They are made out of polished Quartz to withstand the heat and have a unique double-conical cavity back for a wider viewing area.